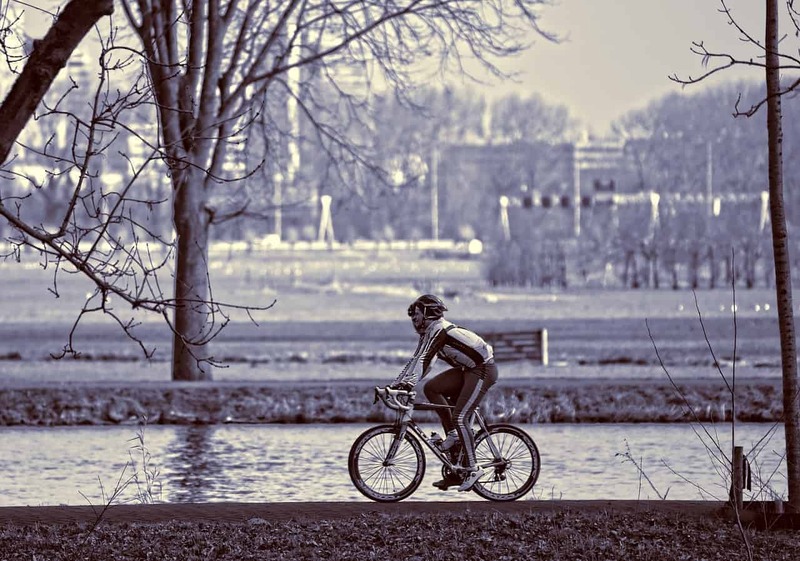 With the London marathon taking place this weekend, we're looking at ways to improve your athletic performance. 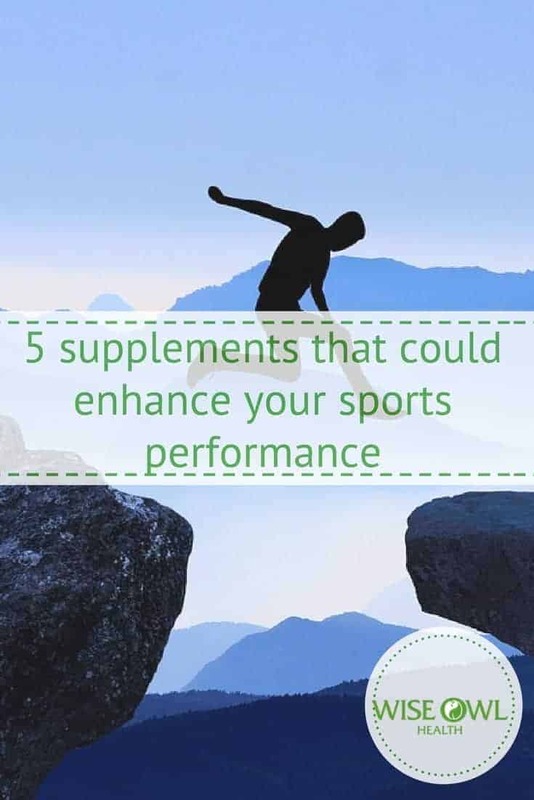 Whether you're into long distance running or another sport, certain supplements could give you the boost you need to take your performance to the next level. Despite being the most abundant mineral in our blood, many of us lack in iron. Its presence in the body is vital to haemoglobin production, so without it our red blood cells struggle to transport oxygen around the body. Low levels of iron can leave you lacking in energy and unable to keep up with a training schedule. 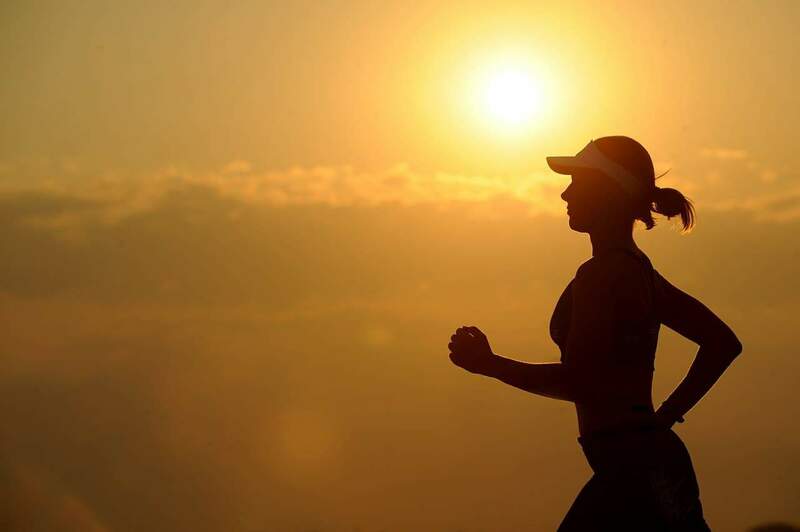 According to Runner's World, runners are prone to anaemia due to lack of iron, particularly female runners. To properly use iron, we need to take it in combination with Molybdenum. If your diet is not providing sufficient iron, a food state Iron and Molybdenum supplement may help to reduce fatigue and improve energy levels among other benefits. Many people are aware of the role that magnesium plays in bone health and sleep. However, you may not be aware that it also allows the body to turn food into energy. If you find yourself suffering from cramp, anxiety or dizziness, this may be a sign that you are lacking in magnesium. Good dietary sources of magnesium include brown rice, green leafy vegetables, nuts, wholegrain bread, fish, meat and dairy. Alternatively a food state magnesium supplement is a good way to ensure you are taking sufficient on board. Zinc is present in all of the body's tissues and plays a key role in immune function. Additionally, it helps the body to process fat, protein and carbohydrates from food. So without it, you could be running on empty despite fuelling up properly. The problem with zinc is that it competes with copper for absorption sites. Copper is equally crucial, being used in combination with iron and proteins to provide the body with haemoglobin. That's why Wise Owl provide a combined Zinc and Copper supplement to avoid copper deficiency that can be caused by long term use of a zinc supplement. With vitamin D being taken onboard primarily from sunlight, you may be surprised to learn that you can become vitamin D deficient even if you spend a lot of time outdoors. That's because in the UK, we can't take on sufficient vitamin D from sunlight during Winter. Doctors advise taking a Vitamin D supplement during the Winter months. Deficiency can cause aching muscles and bones and a low mood. The B Vitamin complex has multiple functions within the body including memory and reduction of toxins. It can also help if you are suffering from anxiety, depression and stress, improve the immune system and help with insomnia. A deficiency in vitamin B12 can cause tiredness and weakness due to a form of anaemia. B12 is also used to keep blood and nerve cells healthy. Unless you are suffering with a particular mineral or vitamin deficiency, it is often preferable to take a single daily supplement. Additionally, these nutrients work synergistically, relying on each other for absorption and utilisation. That's why a daily multivitamin and mineral supplement can be helpful to all of us, but particularly if we are aiming to reach peak physical fitness. Wise Owl's Multivitamins & Minerals are truly natural 'food state' supplements - made using whole foods, the way nature intended. Disclaimer: The information in this document is not intended to replace orthodox medical treatment. The information offered in this document is offered as additional complimentary information. © Wise Owl Health. Please feel free to share this article, but all website links to wiseowlhealth.com must be included. Even slight vitamin & mineral deficiencies can cause a wealth of health issues. In a world where our soil is between 55 & 85% less nutrient dense than it was 60 years ago, supplements can have a hugely positive effect on your day to day health. Vitamins & minerals have an important role to play in maintaining your well-being. 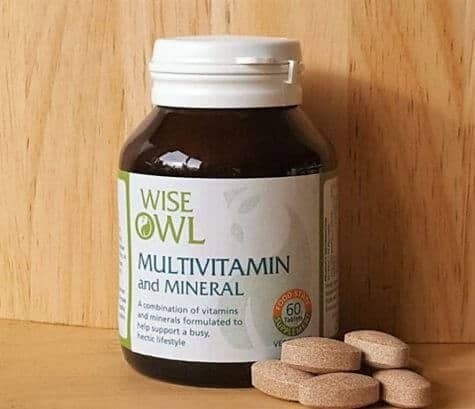 Wise Owl's whole food Multivitamins & Minerals have been specifically formulated to help your body obtain the optimal balance of nutrients with excellent absorption & utilisation. Not only do we need each individual vitamin/mineral, but they also work synergistically, so rely on each other to enable them to be absorbed/utilised. For example, the body absorbs iron through the help of vitamin C.